Having just notched his 900th career point (all with Detroit) the 36-year-old Zetterberg has another celebratory moment on the horizon - skating in his 1,000th NHL game. If all goes as expected, the native of Njurunda, Sweden will hit the magic mark on April 9, the last day of the NHL regular season and the final game at historic Joe Louis Arena. Not bad for a player who was selected in the seventh-round, 210th overall, of the 1999 NHL Entry Draft. His teammates are thrilled to see Zetterberg notch two impressive career accomplishments before season’s end. While it hasn’t been a memorable year for Detroit, who will miss out on the playoffs for the first time since 1990, it has been for Zetterberg. He leads the team in assists, points and plus-minus, while logging nearly 20 minutes per game, placing him third overall on the Red Wings and first among all forwards. 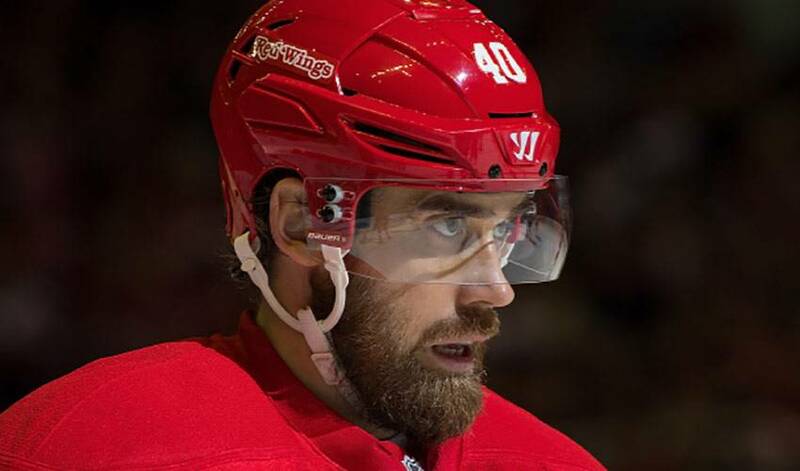 Zetterberg is also Detroit’s nominee for the Bill Masterton Trophy, for perseverance and dedication to hockey. It’s what Zetterberg has done since he joined the Original Six club in 2002-03, a season in which he finished as runner-up in the Calder Memorial Trophy race for top rookie honours. Since then, he’s won a Stanley Cup and Conn Smythe Trophy (Playoff MVP), both in 2008, gold medals at the 2006 World Championships and Winter Olympics, while racking up 120 post-season points in 137 games. While he takes a self-deprecating view of his veteran status, there appears to be plenty left in the tank for the player known as Hank. The Red Wings players are looking forward to feting their captain when he becomes the 309th player to reach 1,000 NHL games.